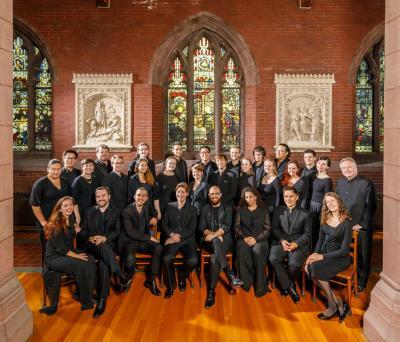 Open by audition to students from all departments and professional schools across Yale University, the choir has a special interest in historically informed performance practice, often in collaboration with instrumentalists from Yale School of Music and Juilliard415. In addition to performing regularly in New Haven and New York, the ensemble records and tours nationally and internationally. Schola’s recordings appear on the Delos, Gothic, and Naxos labels. On tour, Schola Cantorum has given performances in England, Hungary, France, China, South Korea, Italy, Greece, Turkey, Japan, Singapore, Russia, Estonia, Latvia, and India. They will tour in Spain in 2018. © 2019 ShowClix on behalf of The Church of St. Ignatius Loyola.